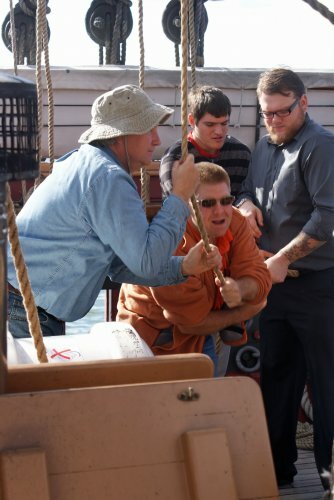 Erie Federal Credit Union has partnered with the Barber National Institute and the Flagship Niagara League (FNL) to sponsor an educational day sail for adults with intellectual disabilities September 25. 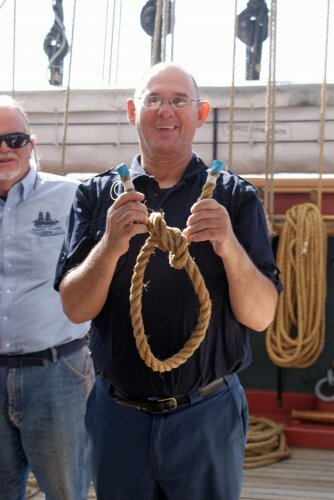 During the sail, adults learned about life on the historic vessel including how to tie knots and set sail, and the role that the Niagara played in the War of 1812. All parties involved were thrilled with the result of the venture. “Erie Federal Credit Union is extremely proud of our partnership with the Barber National Institute and the Flagship Niagara League in sponsoring such a heartfelt and touching event. It has always been a core philosophy of our credit union to partner with organizations that give back to our local community in a positive way,” Brian Waugaman, CEO Erie Federal Credit Union. 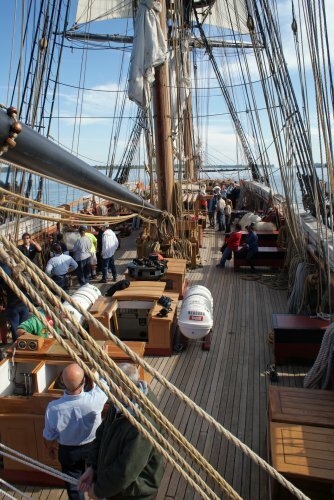 The U.S. Brig Niagara is a replica of Commodore Oliver Hazard Perry’s relief flagship during the Battle of Lake Erie in the War of 1812. 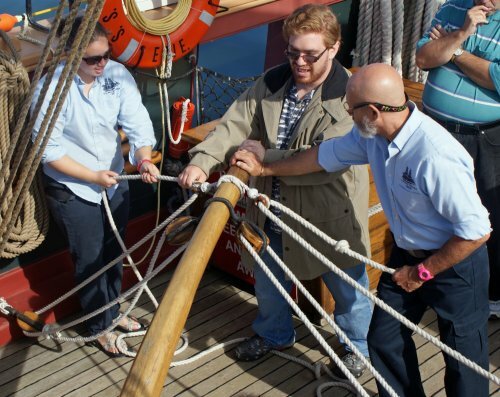 In the modern age, she operates as a US Coast Guard certified Sailing School Vessel (SSV). 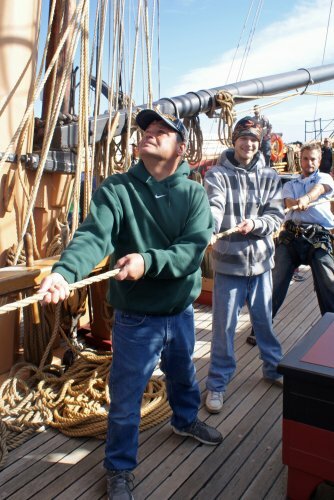 One of the unique programs that FNL offers is the Educational Day Sail Program on Niagara. “Sailing on Niagara is really a once-in-a-lifetime experience and we are so grateful to the Erie Federal Credit Union for making this possible,” Carolyn Kontis, Director, Intellectual Disability Services for Adults, Barber National Institute. The U.S. Brig Niagara is owned by the Commonwealth of Pennsylvania, administered by the Pennsylvania Historical and Museum Commission, and is operated by the Flagship Niagara League (FNL), a 501 (C) 3 non-profit educational associate organization of the Pennsylvania Historical and Museum Commission (PHMC), chartered to facilitate citizen participation and operation of the U.S. Brig Niagara and its homeport, Erie Maritime Museum.